Crow Forest Farm is in a cooler microclimate than the rest of Blacksburg. This means that we have certain fruits later than everybody else. 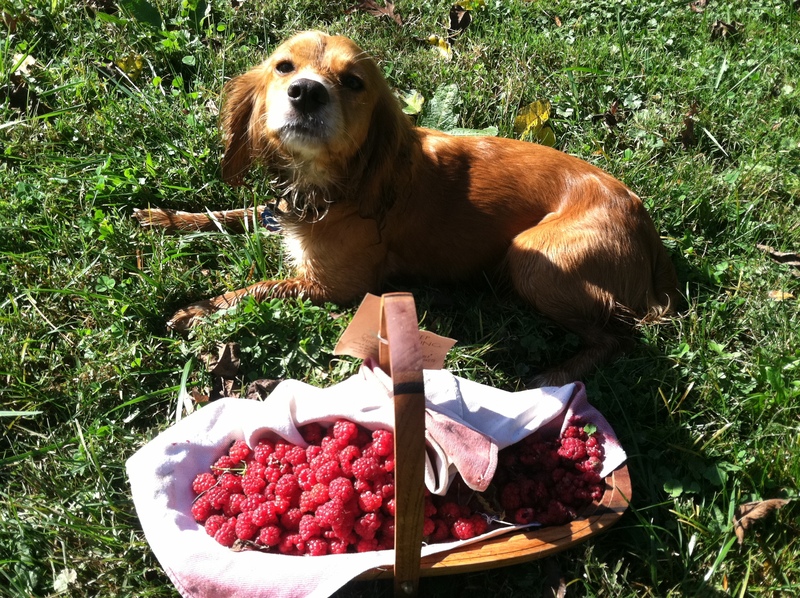 For example, I harvested a pound of raspberries this morning. The cute dog in the photo is Huxley, my friend Seneca’s 1-year old puppy. I put the raspberries into two piles: The pile on the left is firm and fresh, and will be used in jam, the pile to the right were mushy already: I’ll be letting these continue to ferment in a bottle into a raspberry vinaigrette. ← What is Crow Forest Farm?